We had a couple inches of rain this past week and several new harvests. That makes a good week in the garden. The second planting of ‘Premium Crop’ broccoli sized up and I cut the first head yesterday. We’ll be eating and sharing a lot of broccoli this week. Romanesco cauliflower or Romanesco broccoli if you prefer. I’ve never grown Romanesco before and this is my first head just before harvest. I’m partial to chartreuse and unusual vegetables. Add fractals and I’m in. See my post later this week on Romanesco. Gathered in the garden yesterday. Vivid hues of ‘Easter Egg’ radishes will grace my salads this week. Moles disturbed half the crop so I’ll relish the ones that remain. I pick a couple dozen snow peas every day and tiny violas and calendulas adorn my lunch salads. Here’s the last of the first head of cauliflower. It began to spread during our rainy days and I forgot to take a photo. These little flowerlets went in my salad. The stalk was exceedingly tender and I’ve set it aside to make some cauliflower rice. Red romaine and rosso losso lettuce—garden gifts for a friend. Another salad—everything from the garden. 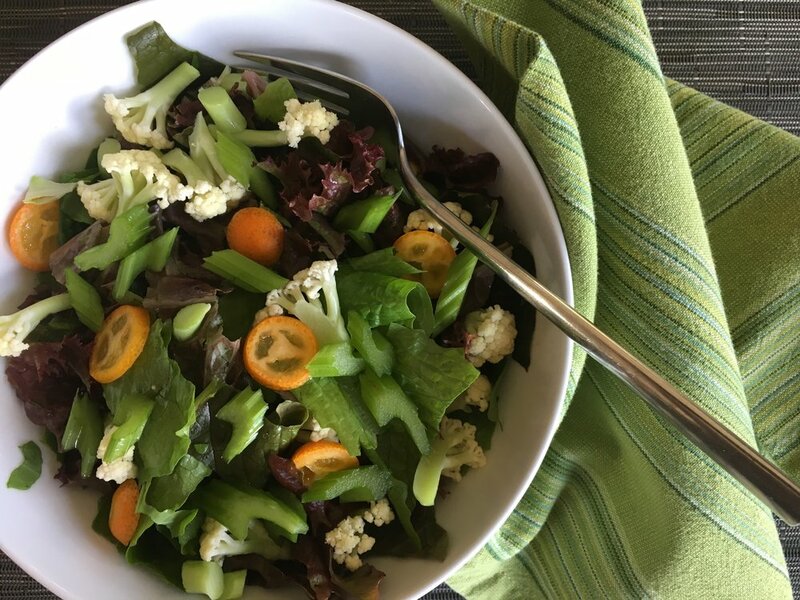 Salads last week included three kinds of lettuce, arugula, celery, kumquats, edible flowers with additions of pomegranate arials and goat cheese. And the Sunday bouquet for church: ‘Robyn Gordon’ grevillea, ‘Moonlight’ grevillea and ‘Blush’ leucadendron.